OnePlus 6 Teaser Promises "The Speed You Need"
OnePlus has posted an official teaser for their upcoming OnePlus 6. The flagship killer is back! OnePlus has teased its upcoming flagship, the OnePlus 6 on Twitter. What will it be this time? A new bezel-trimming solution? An iPhone-esque notch? (most likely) Some other tech gimmick? One thing is for sure though, it’ll be fast and will arrive just in time to continue its flagship kill streak. The latest teaser is only four seconds long but confirms that the new flagship will be called OnePlus 6. According to GSMArena, Pete Lau, OnePlus CEO, and co-founder has confirmed that OnePlus 6 will be powered by Qualcomm’s Snapdragon 845 chipset and will be launched in June this year. Like the previous OnePlus 5 and 5T, the company will follow Apple’s design language and is expected to make OnePlus 6 nearly bezel-less with a notch – just like the iPhone X. Moreover, leaks suggest that the notch will have dimensions of 19.62 x 7.69 mm – which is quite a bit smaller than iPhone X’s notch (35mm x 12.7 mm). 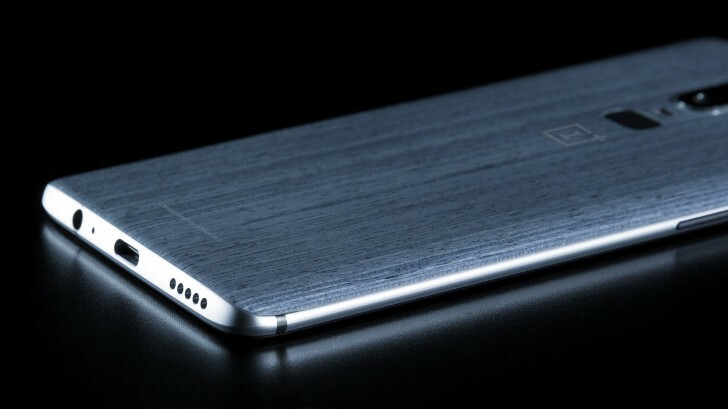 The company is also expected to go with a premium build this time, the upcoming OnePlus 6 might have a woodgrain rear finish. Some are speculating that its design will be based on Oppo R15, as a lot of previous OnePlus phones looked almost exactly like the Oppo R series phones. According to leaked specifications, OnePlus 6 will have 6 GB ram and 128 GB storage. Along with that, a similar dual-cam set up is highly likely and it will surely come with Android 8.1 Oreo out of the box. Watch this space for more updates on the OnePlus 6.